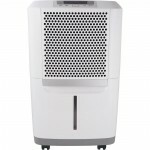 We’ve sourced dehumidifiers from around the world and reviewed them to give you an unbiased look at their benefits, faults and affordability. We’ve taken the time and put in the effort to truly give you everything you need to know about these product – honest, useful and trustworthy. 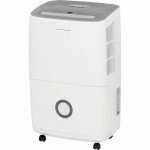 It’s important to choose the right size dehumidifier, as the unit may not be able to remove enough moisture from the air if it is too small, and too much if it is too big. If you get a dehumidifier that is too small for a room, it will waste energy by working too hard and won’t have the longevity that you need. Make sure you spend some time doing your research on different brands before making your final purchase. Think about what will work best for your particular needs as well as the size of your bedroom. Different brands offer different types of models with different features including design, capacity and draining method. Both indoor temperature and humidity levels affect the performance of dehumidifiers. Using a dehumidifier in a low-temperature space like a garage or basement, you need to make sure that it will continue to operate efficiently in the cold climate. The coils in the unit may freeze up, and may it will become ineffective. All dehumidifiers collect the water that they remove from the air, and you should consider how yours will eliminate this water. Standard dehumidifiers contain buckets that you must empty regularly, and automatically shut off when the buckets are full. Most modern dehumidifiers come equipped with drain hose attachments, which allows water to drain away without you having to empty buckets. The Frigidaire Energy Star 50-Pint Dehumidifier is designed to protect your home from the growth of mold and buildup of mildew caused by excess moisture. It also has the added advantage of eliminating bacteria which can cause breathing difficulties in those suffering from respiratory problems. Approved by ENERGY STAR, the Frigidaire Dehumidifier does not omit any harmful greenhouse gases. Helping prevent water damage and controlling odors, mildew, mold, allergies and asthma, the Ebac Kompact is an industrial dehumidifier used for commercial dehumidification. Its compact design allows for quick and easy setup as well as painless operation. 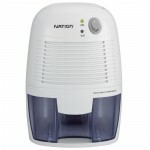 But don’t let its size fool you as it may be small in comparison to other commercial dehumidifiers but it does not lack in durability or power.